Alan Abrahamson: The US Isn't A Soccer Country - what do you think? *MB: Where does Abbey D sign? NB? NOP? 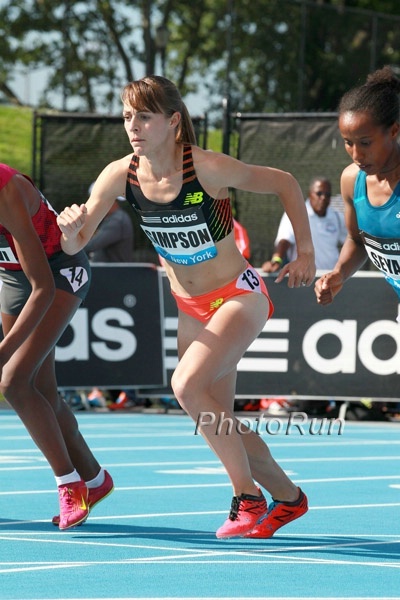 *3,000m Race Video Ignore the analysis part as the last 200 wasn’t close to 23.9. 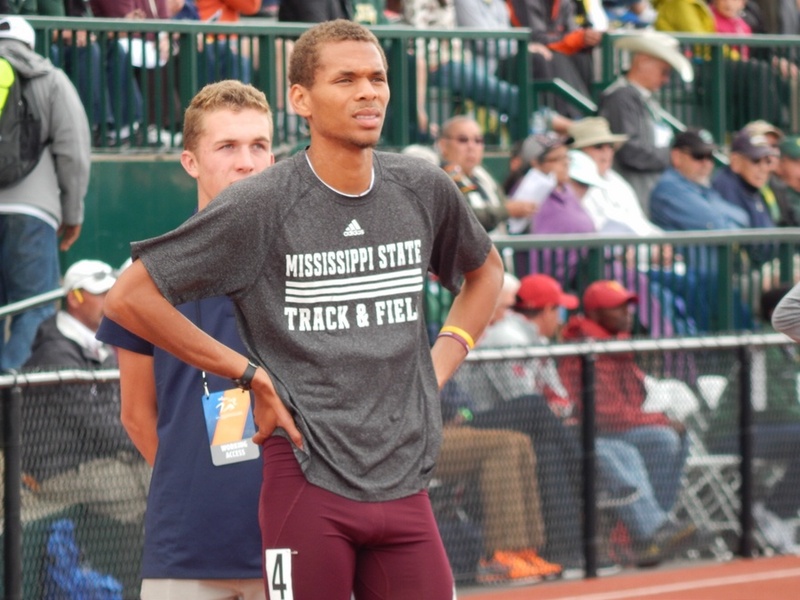 Dorian Ulrey Ran 3:38 Over The Weekend Former Columbia star Kyle Merber ran 3:40 in the race won by Canada’s Charles Philibert-Thiboutot. 21-Year-Old Thomas Barr Took An Amazing .71 Off Irish 400H Record With 48.90 Over Weekend In Geneva He and 800 man Mark English are the top 2 guys in Irish Athletics right now. 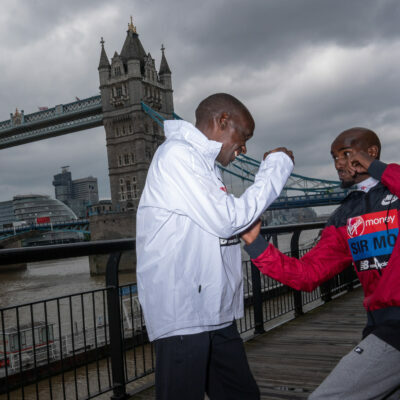 Geoffrey Mutai And Dejen Gebremeskal Headline Field For This Sunday’s BAA 10K The deep field also includes Stephen Sambu, while the women are led by defending champ Mamitu Daska plus Buzunesh Deba, Linet Masai, Betsy Saina and Jen Rhines. IAAF Recap Ethiopian National Champs Ibrahim Jeilan came back from his marathon debut to win the 5K, Aman Wote took the 1,500 (3:38). 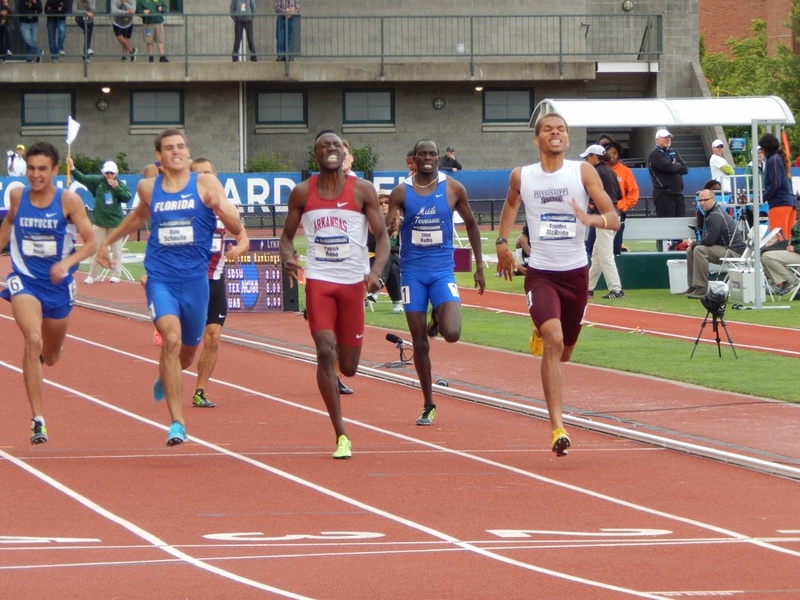 800 NR holder Fantu Magiso was 2nd in the 400 (53.35). 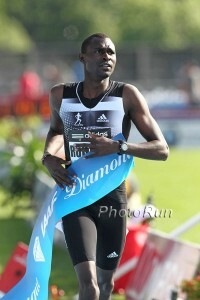 9:14 World Champs steeple 5th placer Etenesh Diro suffered a surprise defeat to Tigist Getnet. Do You Want To Be A Good Coach? 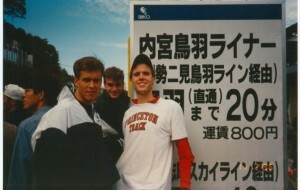 Recommended Read: Very Interesting Interview With World Renowned Track Coach Dan Pfaff On His Coaching Philosophy And “What Drives Successful Performance Under Pressure” This isn’t a technical coaching article, but one that talks about the “coaching” part of coaching which can be applicable to almost any sport. Sub-10 UK Sprinters James Dasolu And Chijindu Ujah Left Off English Team For Commonwealth Games Dasaolu hasn’t raced in a while due to injury and Ujah’s sub-10 race came after the selection deadline. 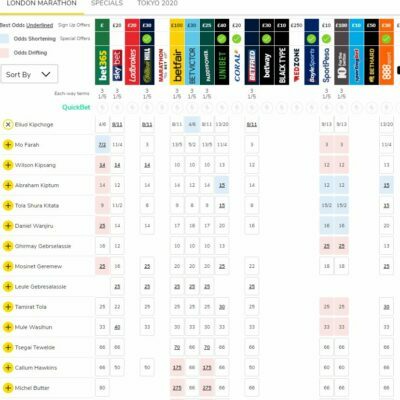 UK’s 21-Year-Old Heptathlete Katarina Johnson-Thompson Will Be Disappointed With Anything Less Than Gold At Commonwealth Games She expects it to be a battle between her and Brianne Theisen Eaton. Lawi Lalang came within .04 seconds of being the first man to pull off the 1,500/5k double, but Oregon's Mac Fleet was too good and repeated as NCAA champion before the Oregon crowd. On The Boards: USA USA! MAC FLEET IS THE NEW KING!! Edges Lalang by .04 in 3:39.09!! 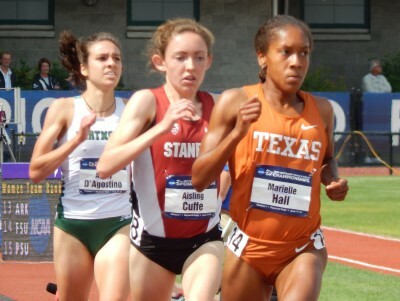 It came down to Hall, D'Agostino and Stanford's Aisling Cuffe, but in the end it was Hall who broke away with a 30.4 last 200 to win her first NCAA title. The UT senior has dropped more than a minute off her 5,000 PR in the last year. Pretty damn impressive. 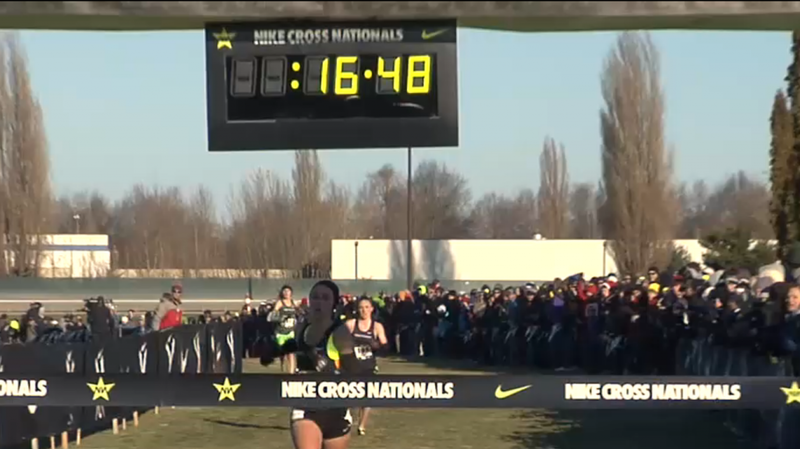 On The Boards: Marielle Hall pulls a shocker, takes down Abbey D in 5k – Wins in 15:35.11!! 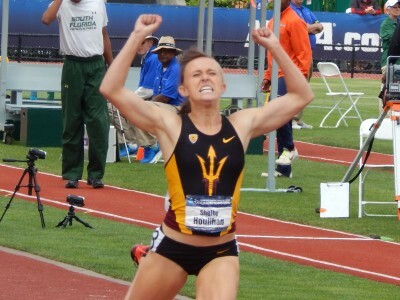 Everyone had a chance in this one with a lap to go, but there was no question who was best over the final lap - ASU's Shelby Houlihan. This race was very exciting over the last lap. An all-out war between two men that almost resulted in both of them going down on the final barrier because they were so spent. In the end, Rotich was your winner. 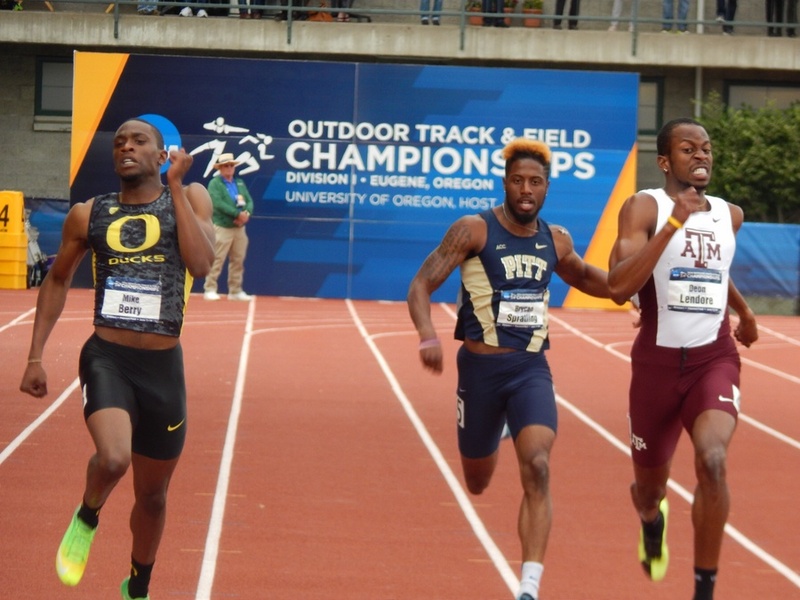 Might runner-up Stanley Kebenei soon be on a US Olympic team? Will Houlihan be celebrating again on Saturday? 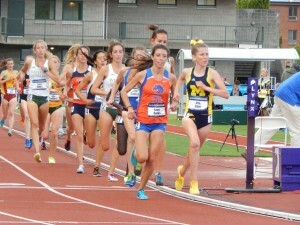 More NCAA Coverage. If you want total NCAA coverage, go to our special section. 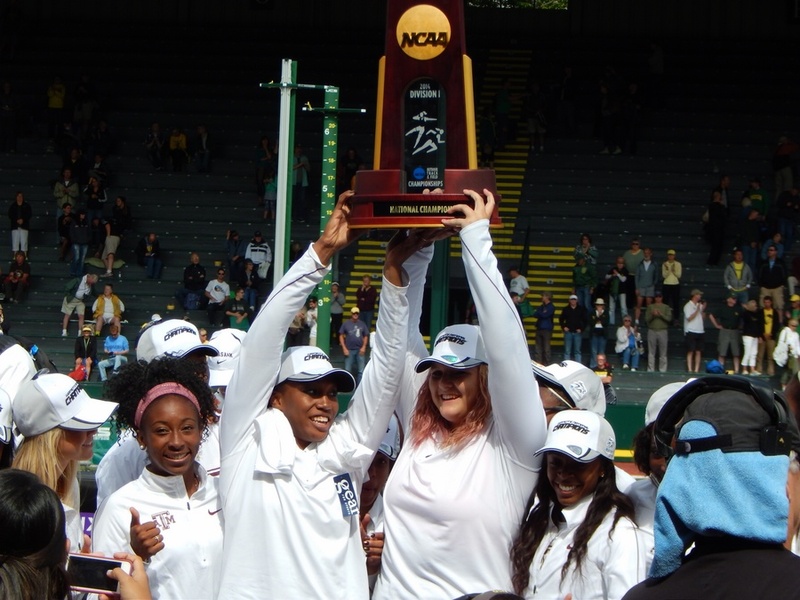 Women: Texas A&M Women Win 4th Title In 6 Years Pat Henry‘s squad gets it done again. 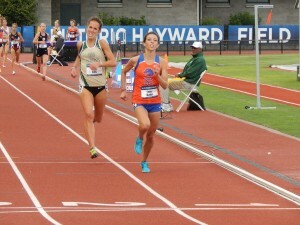 Oregon Duck Women Finish 3rd Despite Jenna Prandini’s Heroics Pandini won the long jump and was 3rd in the 100 and 2nd in the 200. 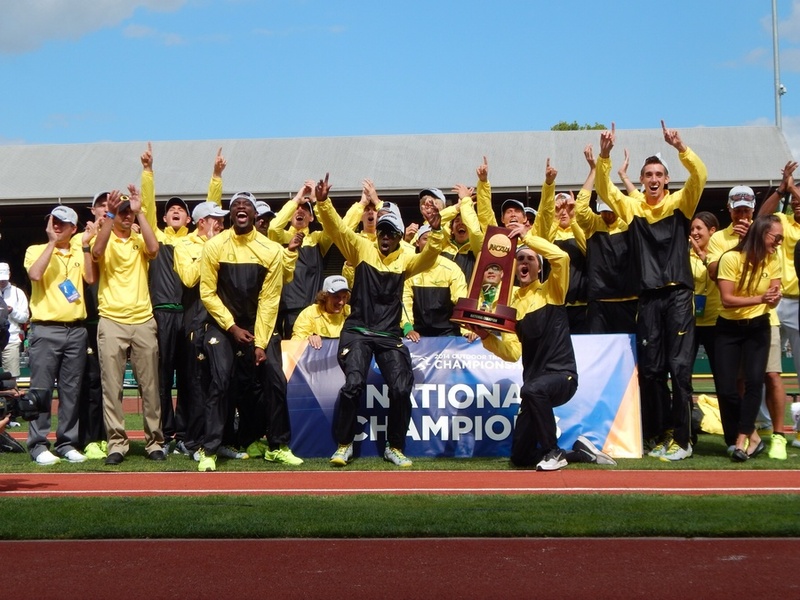 Men: Ken Goe: Oregon Men Get First NCAA Outdoor Title In 30 Years In Style The Ducks scored 88 points and were winning just about everything, including the 110m hurdles. 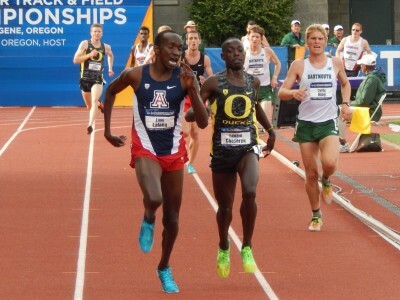 LRC Greatest NCAA 5k Ever: Lawi Lalang Defeats Edward Cheserek And 10,000 Screaming Oregon Fans NCAA meet record – check. 10,000 plus screaming fans – check. Great finishing duel- check. 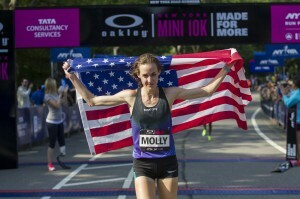 Greatest NCAA 5,000m ever – check. 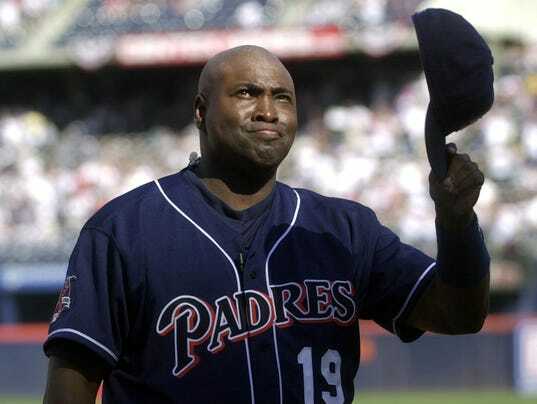 It was a thrilling four-man battle down the home straight, but in the end McBride had just enough to hold everyone off. 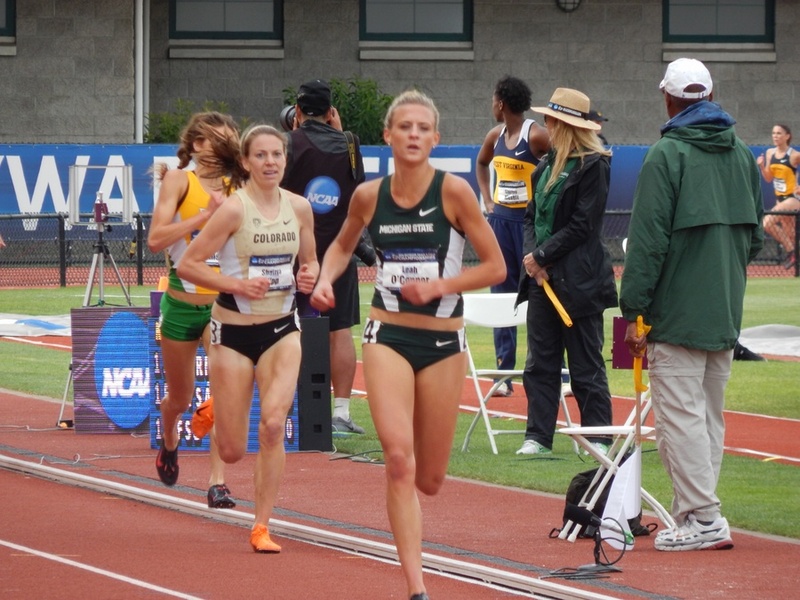 LRC 2012 Olympian Shalaya Kipp Upset As Michigan State’s Leah O’Connor Arrives A runner was dominant over the final 1.5 laps but it was O’Connor, not Kipp, as Boise State’s Marisa Howard PRed by 15+ seconds to get 2nd. 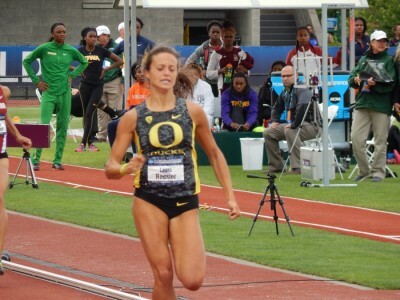 LRC Oregon’s Laura Roesler Comes Through As The Favorite To Earn 10 Points For The Women Of Oregon Roesler crushed the field the final 200m. LRC 4-For-4! 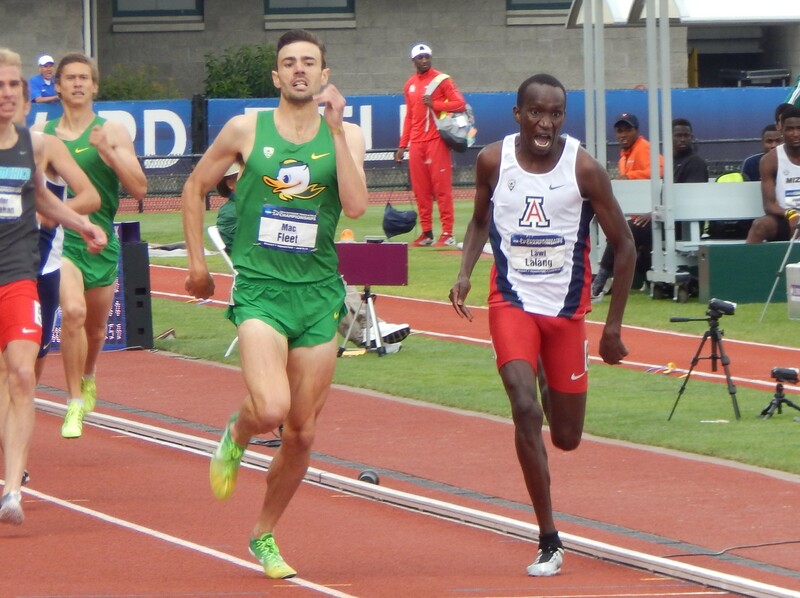 Edward Cheserek Runs 24.8 Last 200 To Blow Away Field In NCAA 10,000 Final King Cheserek waited until the final 250, but boy was it special as he remained undefeated for his life at NCAA champs. 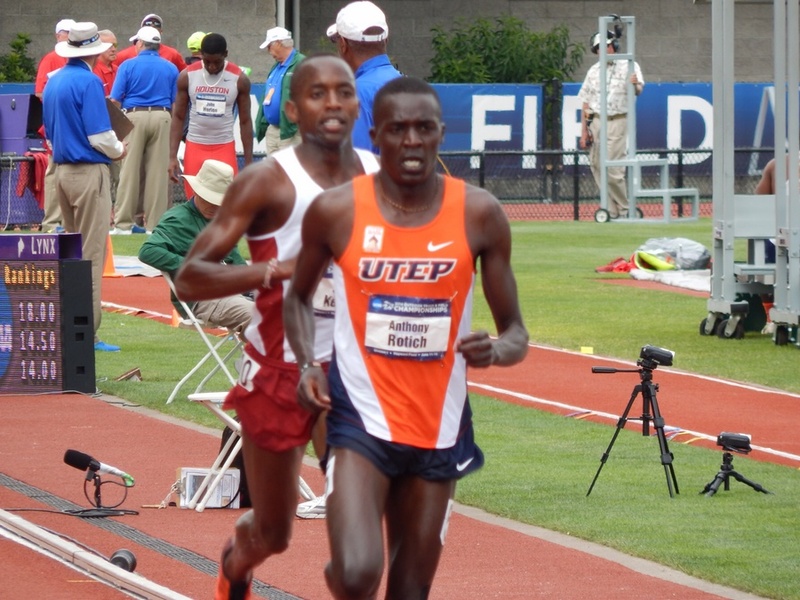 LRC 1:45 Man Edward Kemboi Fails To Advance In 800; Favorites In Women’s 800, Steeple All Advance The favorites in men’s and women’s 800 and women’s steeple all looked great. 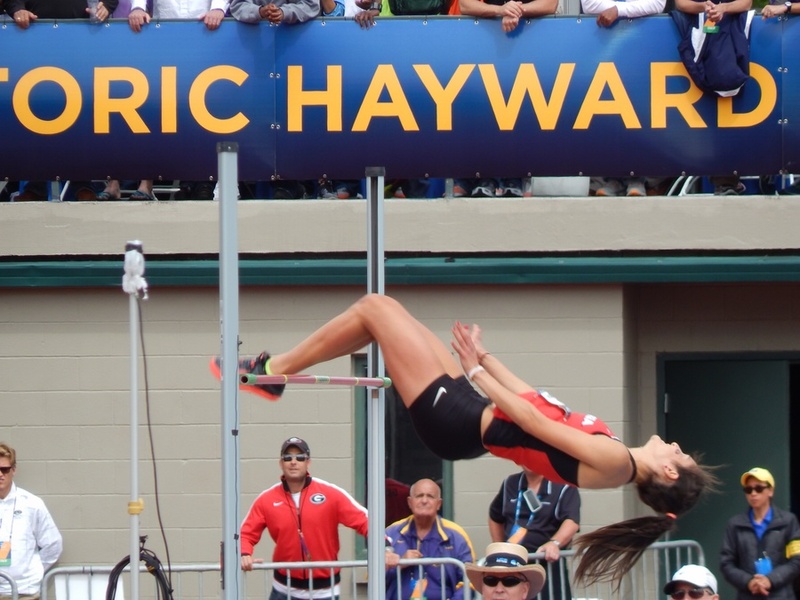 Follow Your Passion: Rice University Pole Vault Cach David Butler Has Started A Pole Vault Museum On Facebook Maybe we should buy him out and start letsvault.com. British Jav Record Holder Goldie Sayers Is Back From “Injury Hell,” Ready For Commonwealths Thanks To Dr. James Andrews She got the best baseball surgeon in the land for her 3rd surgery in the last 2 years. Usain Bolt’s Got Some Work To Do: Physiologist And Coach Completes Study That Says Ultimate 100-Meter Time Is 9.27 Seconds Australian physiologist and coach Jeremy Richmond‘s paper appears in the IAAF’s “New Studies in Athletics” scientific journal. Subscribe now for $50. Catching Up With Leah Pells – 1996 Olympic 1,500 4th Placer From Canada The 49-year-old still runs every day but has no desire to race. 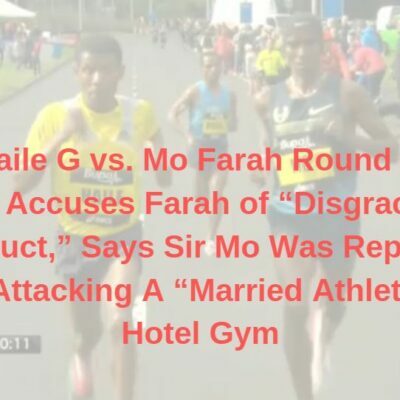 Mo Farah returned to the track and showed great finishing speed. 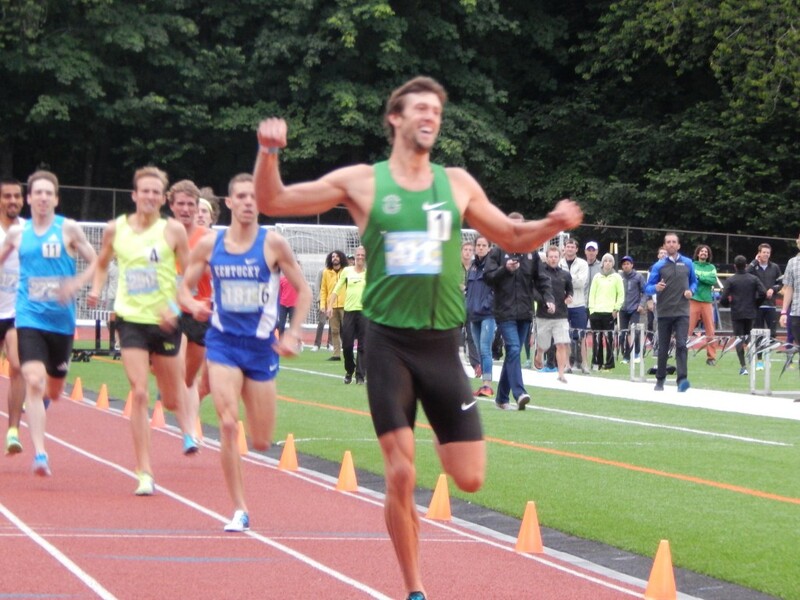 Andrew Wheating returned as well with a win and said he's "back" and Jordan Hasay got double wins with impressive last laps. 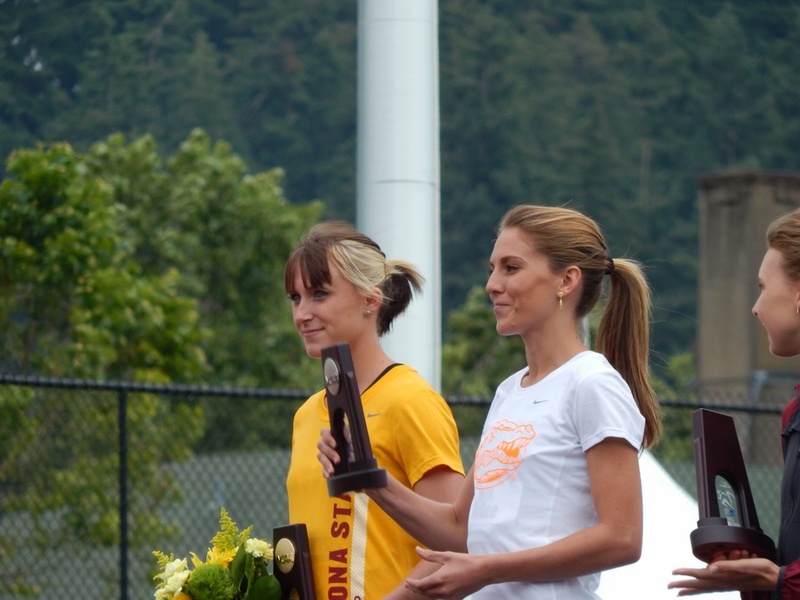 Plus the steeple debut of Andy Bayer, wins by Bridget Franek, Cas Loxsom and Kate Grace in a tshirt. 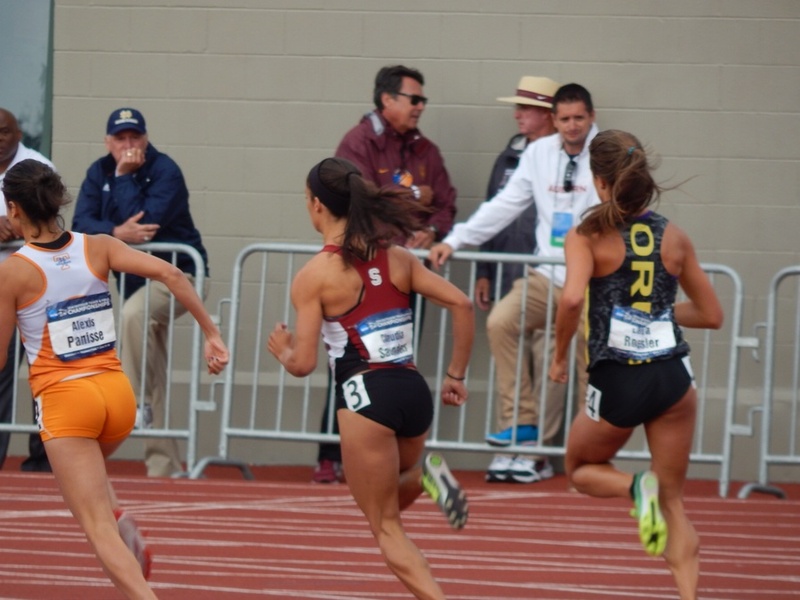 LRC W1,500 And W800 Abeba Aregawi Wins Again As Two High Schoolers Take On The Pros And Alexa Efraimson Is The One Who Impresses The Most Two high schoolers ran in the pro races at the adidas Grand Prix. 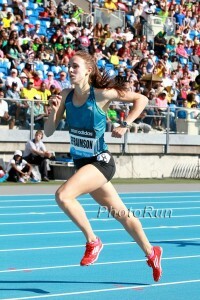 Sure, there was Mary Cain (4th in 800 in 2:01), but the one stealing the show today was Alexa Efraimson. 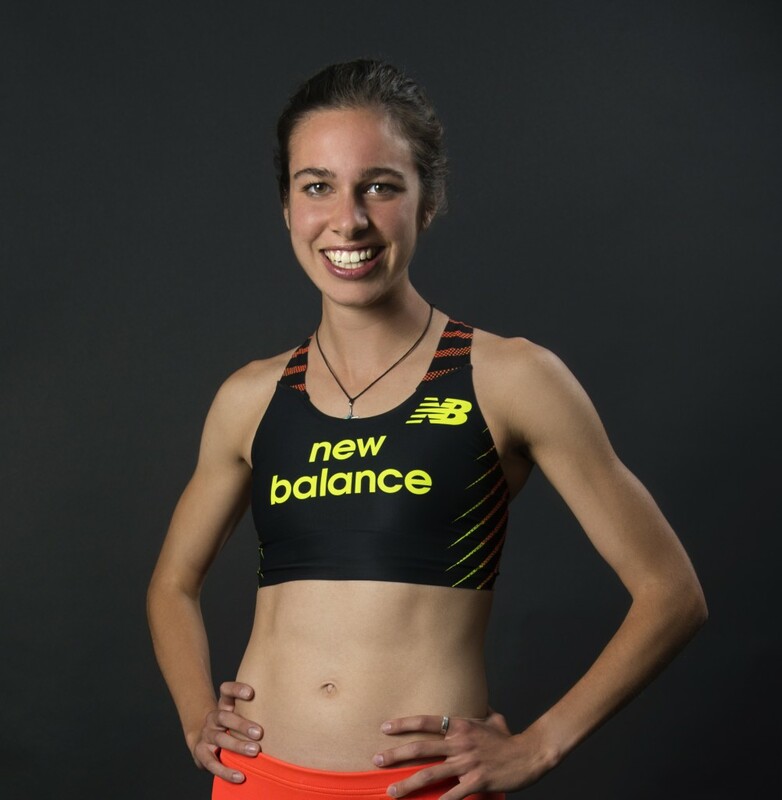 Plus Mary Cain revealed she may not run the 1,500 at USA juniors. 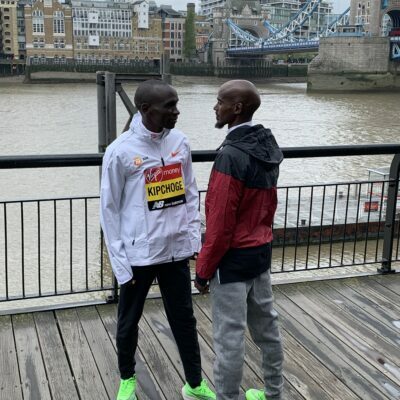 LRC David Rudisha Returns To The Winner’s Circle As Duane Solomon Questions His Tactics The king David Rudisha is back to his winning ways as American Duane Solomon was left questioning his tactics. “The greatest men’s high jump competition in the history of the sport.” Bondarenko and Barshim both took jumps at the WR. Bondarenko was your winner. LRC The Real Deal: Foot Locker Champ Grant Fisher Wins Dream Mile In 4:02.02, Chopping 7 Seconds Off His PR Fisher is only a junior. Full Meet Recap David Rudisha returned to the winner’s podium, Yohan Blake got beaten, LaShawn Merritt kept winning and more. Wayde van Niekerk ran 44.38 for 2nd and South African 400m record. LRC Photo Gallery from Photo Run. MB: Grant Fisher smokes field at adidas Dream Mile – Runs 4:02.02 The HS junior, who won Foot Locker in the fall, took down the nation’s best in New York today. Chris Solinsky Runs 29:05 For 3rd At Portland Track Classic; Says He Just “Didn’t Have It Today” He said he ran a workout that indicated he could even be in 28-minute shape, but that he thinks the problem is all mental right now and not having the “toughness” he usually does. 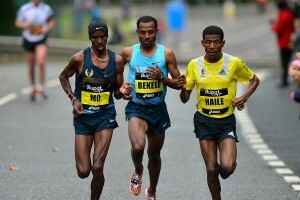 The race was won by Nouredine Smail in 28:56. 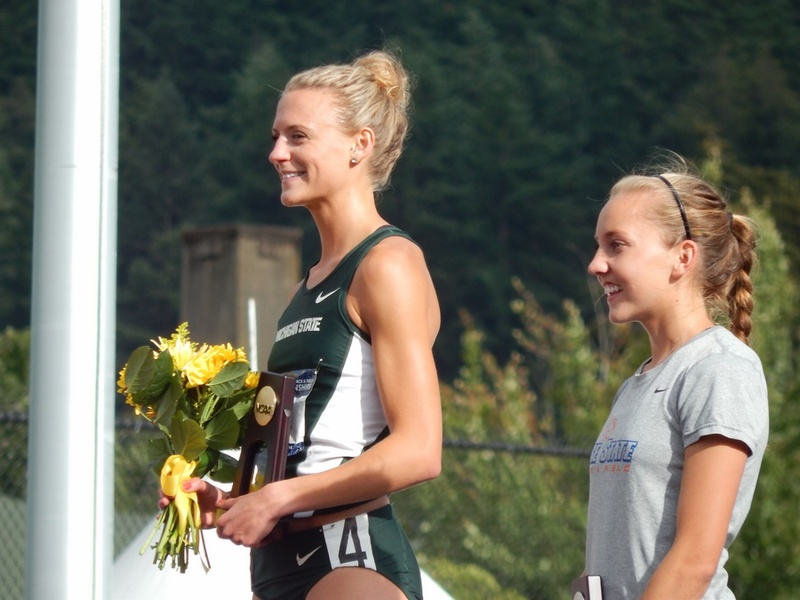 Huddle broke Mary Slaney's 30-year old record for a women's only race by running 31:37. Historic 2-Mile: Day 2: National Record And Historic Two Mile Highlight Day Two Northport HS set a record by having three guys from one team go sub-9 minutes in the 2-mile in first, third and fourth (8:53, 8:56, 8:57). 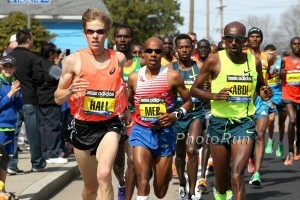 The top five in the race were sub-9. Mo Farah Confirmed For English Commonwealth Games Team In 5,000 And 10,000 Some other included distance runners are Lee Emanuel, Chris Thompson, Tom Farrell, Hannah England, Jenny Meadows, Andrew Osagie. 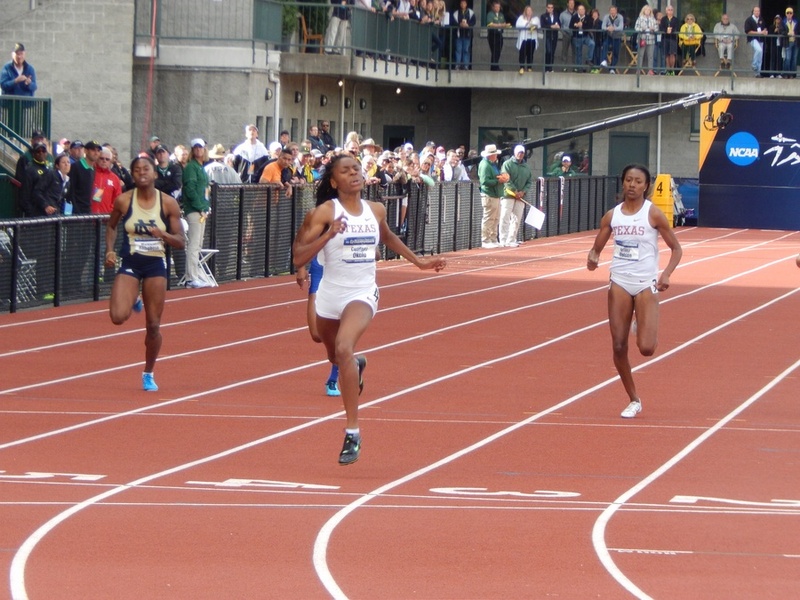 Georgia Freshman Kendell Williams Narrowly Wins Heptathlon After A Fall In The 800 Almost Costs Her The Title Oregon Head Coach Robert Johnson talks about the men’s 4 x 400 DQ and how the appeal was denied. He says he didn’t sleep at all Thursday night thinking about it. 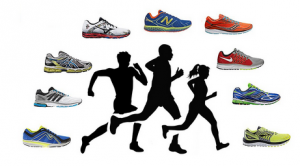 54th Edition Of All-Uphill Mt. Washington Road Race Is This Wweekend Defending champ Eric Blake will face 2012 winner Sage Canaday plus Joe Grey (2nd last two years). 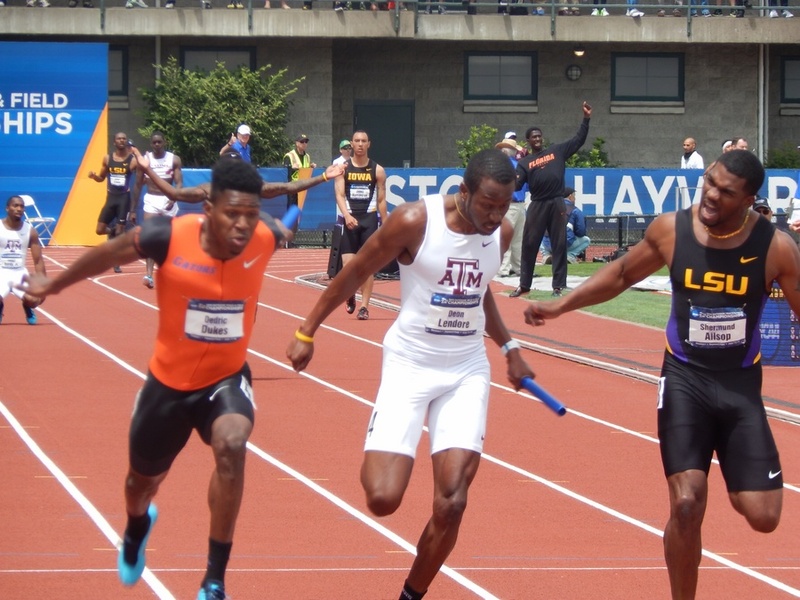 Daily Relay’s 2014 College Track Awards Some interesting awards and analysis by Jesse Squire. Oregon’s True Freshman Devon Allen Came Out Of Nowhere To Win The NCAA 110H In A Championship Record 13.16 His time is second all-time in the NCAA and he’s not even on track scholarship at Oregon. His primary sport is football. 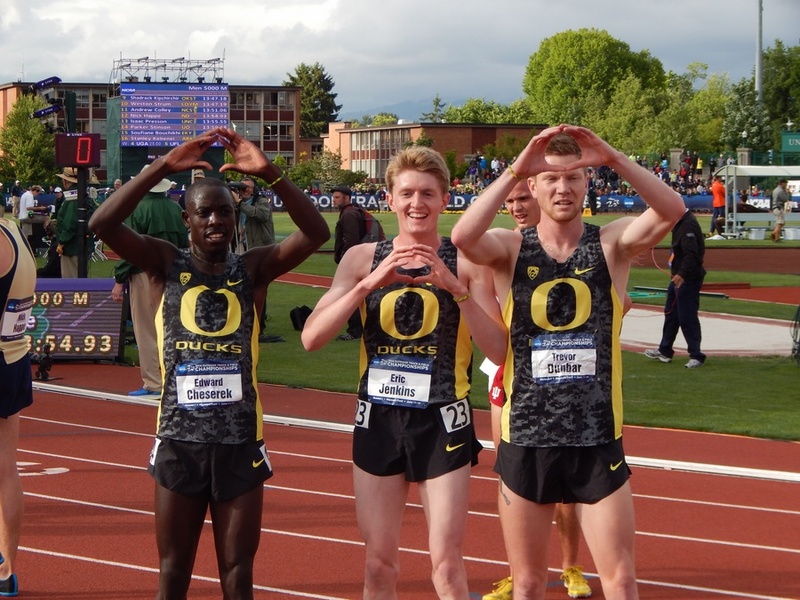 Oregon Men Earn John McDonnell Division I Men’s Program Of The Year Award The award goes to the best NCAA program taking into account XC, indoor and outdoor. 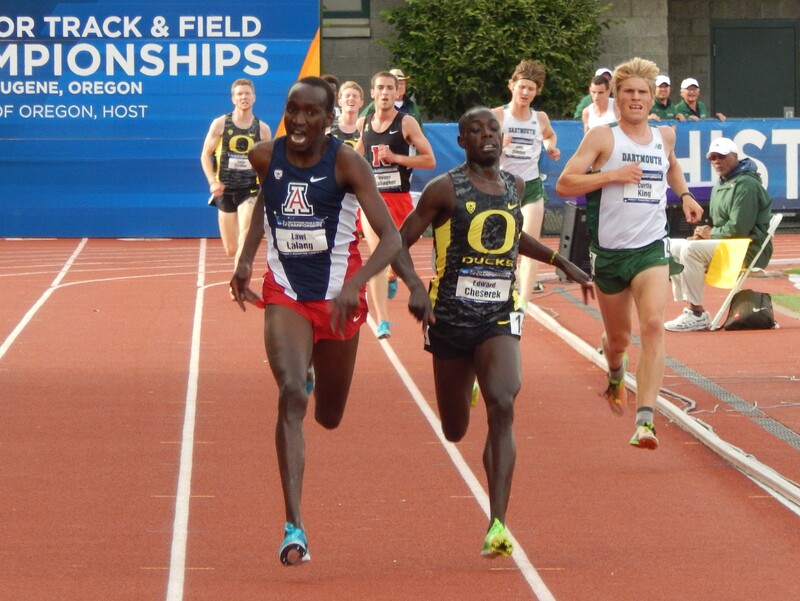 Time for Cheserek to go pro? Wow Wow Wow!! 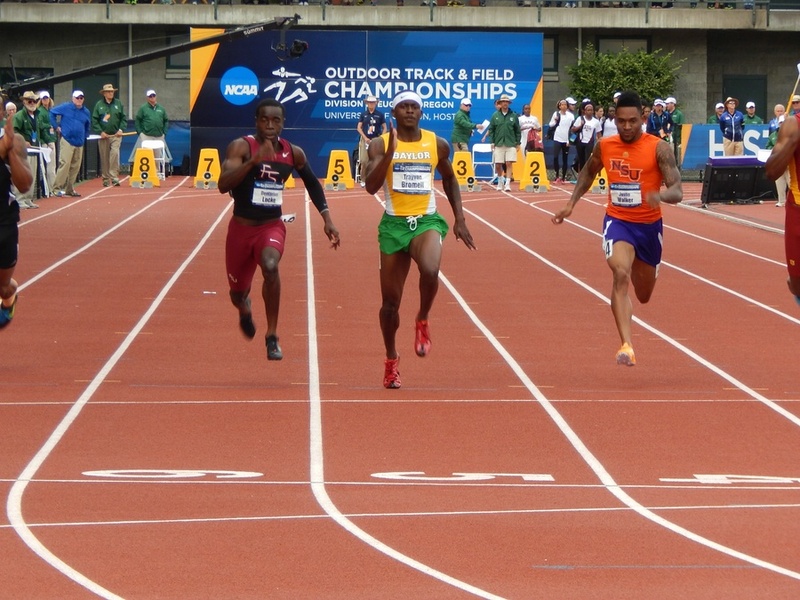 The greatest 5000 in NCAA history. Lawi comes back on Ches!!! NCAA Record. Day 2 Video Interviews Here Cory McGee, Katie Flood, Stephanie Brown, Emily Lipari, Ben Saarel, Mac Fleet, Linden Hall, and many more. 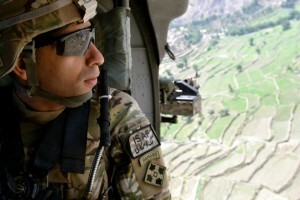 Constantly updated. 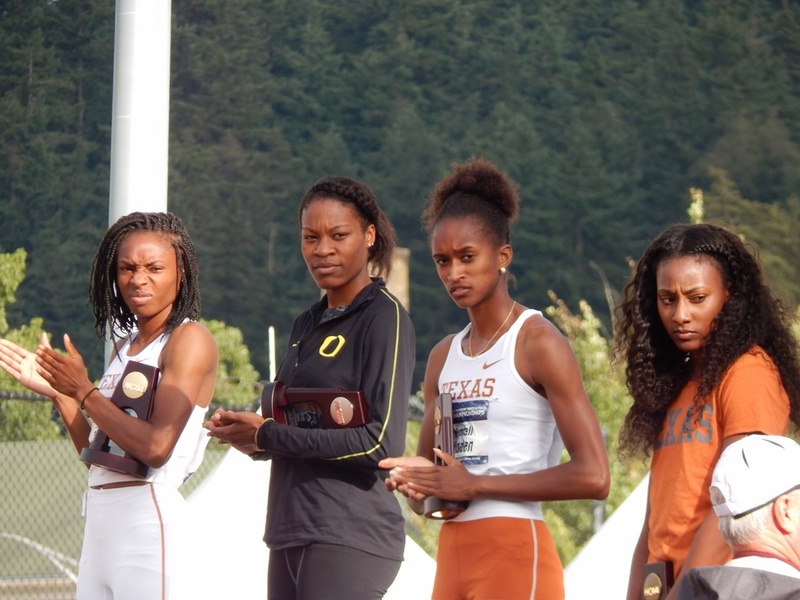 Turn off your sound during the first half of the 10,000m final and listen to our interviews.